Let’s be honest. Making lots of money from an eCommerce shop isn’t easy. Maybe you’re putting tons of effort into your shop but still can’t seem to make a sale. If your eCommerce store isn’t selling any products, not only are you missing out on profits – you’re probably losing money once you factor in product/material costs, labor costs, and other costs associated with running an online shop. If that situation sounds all too familiar, you may be ready to shut down your eCommerce shop. But don’t give up hope yet! Let’s talk about some of the easily fixable mistakes you might be making that are affecting your sales. Then, you can make the necessary changes to improve your ecommerce conversion rates. You’re Using Low-quality Product Images. You can bet that one of the first things potential customers will notice about your products are the pictures. If you’ve got bad photos, your business won’t look as credible, and potential customers may not trust your business enough to buy from you. However, good product photos can help you land more sales by boosting your customer’s opinion of your store. Not only that – high-quality photos help customers see the details of your products, which can help improve sales as well. Think about it like this. When someone buys online, they don’t get to physically handle the product to examine it in greater detail before they buy, so purchasing can feel like a bit of a gamble. If you can make it feel like less of a gamble by showing off different details and views of your products in your photos, your customer will gain the confidence they need to make a purchase. 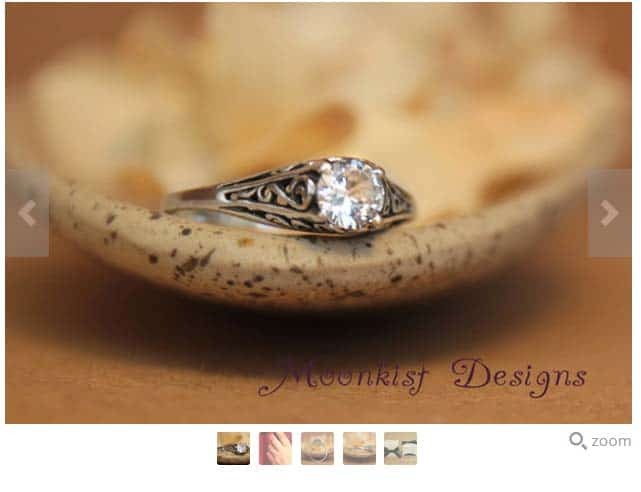 See how the seller included a close-up photo of the ring and other photos that show the ring from multiple angles? The variety of pictures allows buyers to see every detail of the ring. Make sure you take multiple high-quality product photos for everything you’re selling too. And, if you’re selling something wearable, include a photo of someone wearing the product so potential customers can see what it looks like when worn. Check out this blog post to learn more about how images help boost conversion rates. Think your high shipping fees don’t matter? Think again! According to expert conversion copywriter Joanna Wiebe, high-converting checkouts include free shipping. That’s because high shipping prices are the #1 reason people abandon eCommerce shopping carts. A company called 2BigFeet decided to start offering free shipping for orders over $100, and they saw their conversions increase 50% overnight. So, why not try offering free shipping to see what effect it has on your own conversion rates? Who knows – you could see a 50% conversion rate improvement overnight too! Think back to the last site you visited that took a long time to load. Did you stick around, or did you decide to abandon the site? Chances are, you abandoned it. Let’s face it – in today’s world of instant gratification via technology, no one wants to wait around for long. On top of that, a study by Unbounce shows that 1 out of 5 customers will abandon their shopping cart if your pages are too slow to load. 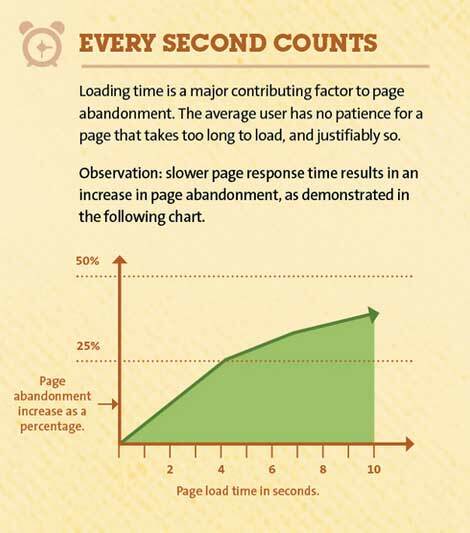 So, you should take your site’s loading speed seriously and work to fix it if it’s slow. But maybe you’re not sure how fast your site loads. If that’s the case, use the Bitcatcha Server Speed Checker and reference this list of other ways you can measure your exact site speed. You have too many WordPress plugins. Your images are too large. Deactivate any WordPress plugins you aren’t using. Enable caching. Your site will load faster because the browser won’t need to request the file from the server. Keep in mind that the problems I’ve mentioned here aren’t the only possible causes of slow loading speeds. For a more comprehensive list of reasons your website may not be able to load as fast as you’d like, check out this blog post. These are the exact steps we took to speed up our WordPress. We are using it in Bitcatcha.com and we proudly achieve loadtime below 3 seconds. Shoppers Don’t Trust Your Business. 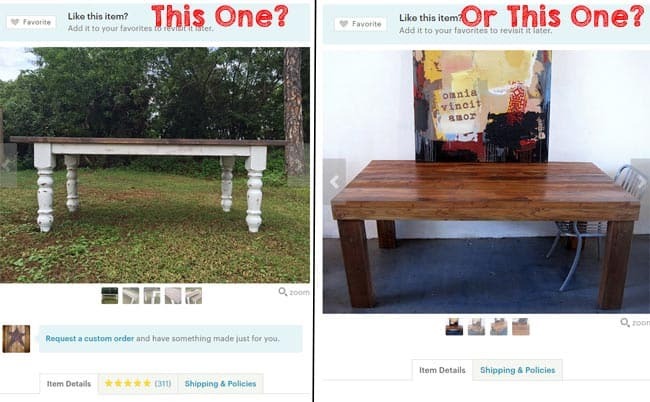 Let’s say you’re shopping online for a table, and you start looking around on Etsy. Which of the following sellers would you trust more? Chances are, you’d pick the first seller – they earn your trust by showcasing over 300 five-star reviews from previous customers. So, make sure you’re delivering a high-quality product and excellent customer service to everyone who buys something from you. Going out of your way for every customer is a great way to start getting positive reviews. But what if you’re doing everything right and still can’t seem to get the reviews you want? Well, you may want to start encouraging people to review your shop after they purchase. You can do this by sending a personalized note with each package that thanks the customer for their business and asks them to review your shop. A word of warning: avoid pressuring customers to leave a dishonest positive review. A few bad reviews won’t hurt you – in fact, bad reviews could even make your positive reviews appear more authentic. To learn more ways you can improve your chances of getting great reviews, check out this blog post. Opening up an eCommerce store can be rewarding, but only if you’re smart about how you present yourself as a business. Start following the tips I’ve mentioned in this post, and you’ll increase your chances of seeing the improved sales you want. What changes will you make to improve your eCommerce conversion rates? Share in the comments section! Jorden Roper is a blogger/copywriter for hire and the founder of Writing Revolt, where she writes about finding success as a freelance writer. When she's not writing, you can find her traveling, playing music in her band, or hanging out on Twitter.